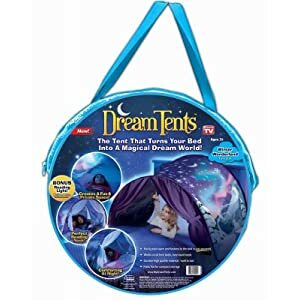 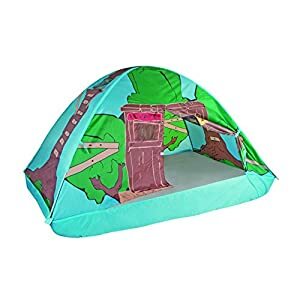 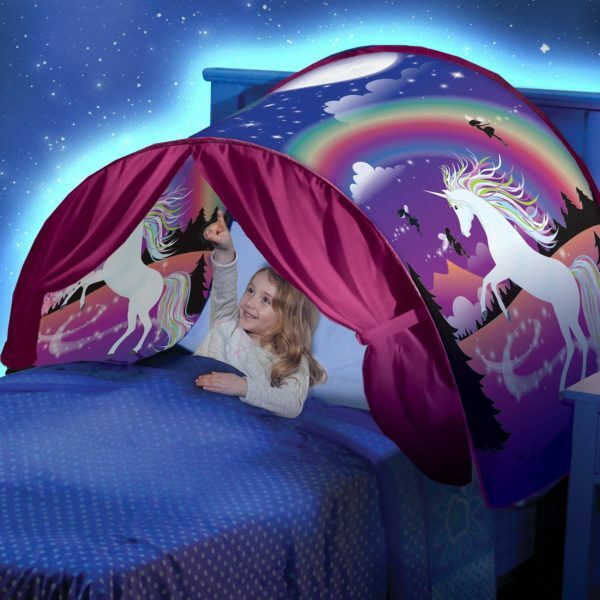 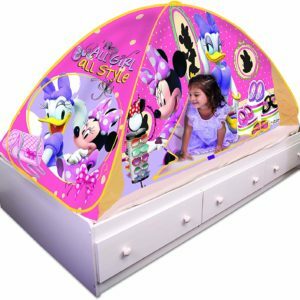 If you have a little girl who is crazy about princesses, fairies, unicorns and all those little creatures, then this Dream Tents Unicorn Fantasy is made for her ! Indeed, when she will lay in her bed, just under the tent, she will have the impression to be in a fairy tale, surrounded by unicorns and rainbows. For now on, every night, your daughter will feel like she is actually part of this world and this is the best way ever for her to have nice dreams. 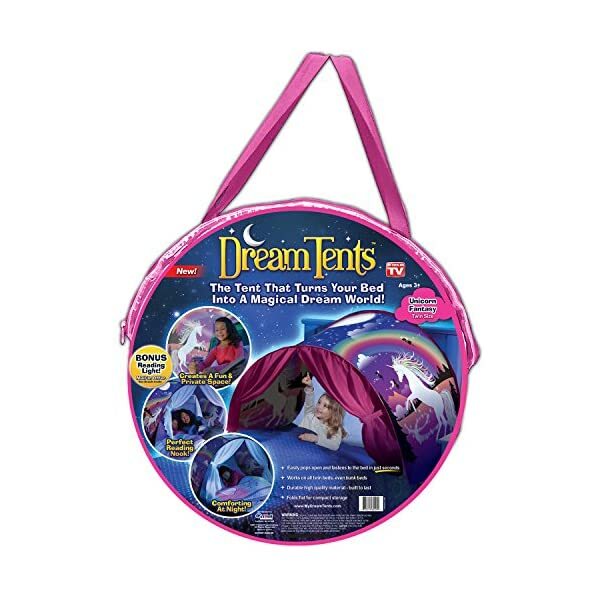 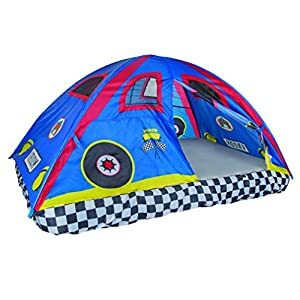 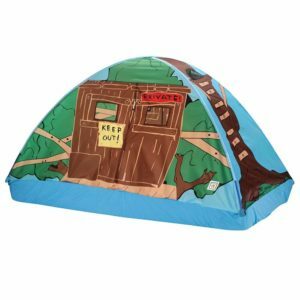 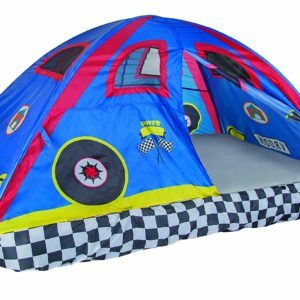 Moreover, the tent is very quick and easy to settle. 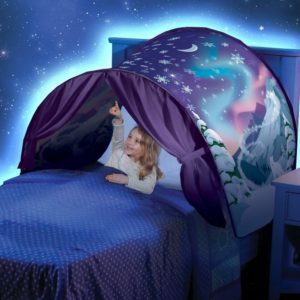 Soon after you buy it, she will be nestled in her bed while thinking of a realm of fantasy. 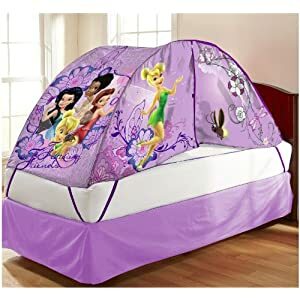 In this way, she will sleep like a baby. 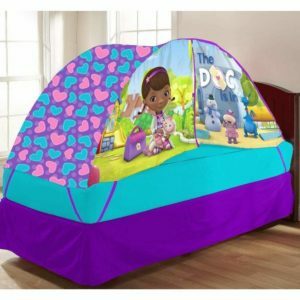 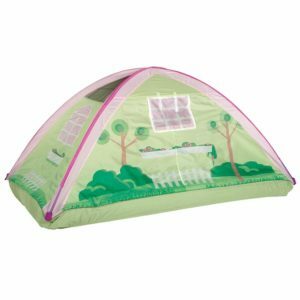 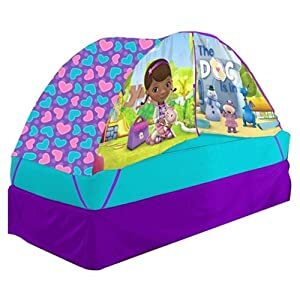 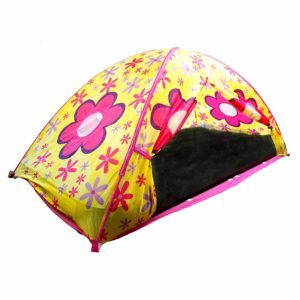 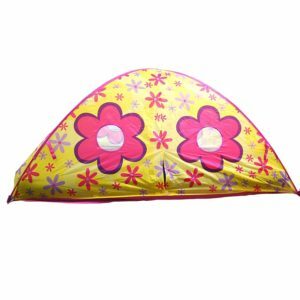 The colors of this tent are typically the ones little girls love : it has been made in purple, pink and white. 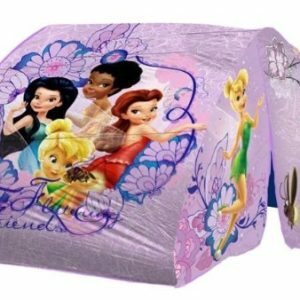 In addition to that, the price to pay for your daughter to believe she is a queen, is very low, so it would be a pity to miss this occasion !